Steven Seidenberg is a freelance reporter and attorney who has been covering intellectual property developments in the US for more than 20 years. He is based in the greater New York City area and may be reached at info@ip-watch.ch. In a time when partisanship runs wild in the USA and the country’s political parties can’t seem to agree on anything, the Music Modernization Act is exceptional. The MMA passed the House of Representatives on 25 April with unanimous support. And for good reason. Almost all the major stakeholders back this legislation, which will bring some badly needed changes to copyright law’s treatment of music streaming. But wrapped in the MMA is a previously separate bill – the CLASSICS Act – that has been attacked by many copyright law experts, is opposed by many librarians and archivists, and runs counter to policy previously endorsed by the US Copyright Office. The MMA is an agglomeration of several different bills that revise US copyright law in different ways. “There was no intrinsic reason to put all these bills together. The idea was just to give something to all stakeholders,” said Prof. Jessica Litman of University of Michigan Law School. She added that the major players in the music industry – including ASCAP, BMI, RIAA, the Digital Media and Streaming Association, the national music publishers, the American Association of Independent Music and the American Federation of Musicians – “all said the bill is great.” That powerful business support gave legislators a strong impetus to support the legislation. Commercial interests opposing the legislation were few and less influential: the Independent Songwriters Association, satellite radio broadcaster Sirius XM, and background music service Music Choice. In general, the MMA revises US copyright law in ways that will increase revenues to music publishers, songwriters, ASCAP, BMI, recording companies, and some older musicians – a big chunk of the music industry. Some of these legislative changes have been generally endorsed by copyright experts: e.g, the creation of a database and new music rights collective that will make it much easier for songwriters and music publishers to receive royalties when their compositions are streamed. One section of the MMA, however, has garnered criticism from many copyright experts. “The CLASSICS Act is the most controversial part [of the MMA]. No way it could pass on its own, which is why it is shoehorned into the MMA,” said Mitch Stoltz, senior staff attorney at the Electronic Frontier Foundation, a non-profit that advocates for online civil liberties. 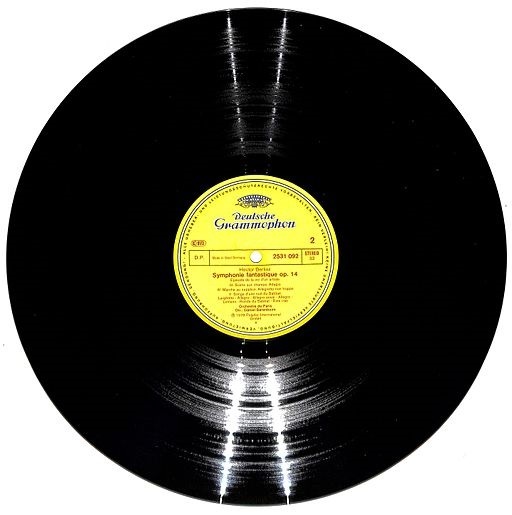 The CLASSICS Act partially changes the odd copyright status of sound recordings made prior to 15 February, 1972. For historical reasons, those old recorded performances are not protected in the US by federal copyright law. They are protected by state law copyrights. These state copyrights have provided little help when pre-1972 recordings have been streamed without authorization. Courts in New York and Florida have rejected infringement suits against streaming services – ruling that the companies’ music streams are public performances of the copyrighted recordings, but state law does not grant public performance rights in copyrighted recordings, so streaming did not infringe any legal right of the recordings’ copyright owners. Other states might reach a different conclusion on the scope of their copyrights. A third lawsuit on music streaming is pending in California. But even if some state was to find that its copyright law provided a public performance right and that such right was infringed by unauthorized streaming of pre-1972 recordings, damages would be awarded for only infringements made in that state. There would be no penalty for streaming in the rest of the country, so any infringement suit would provide only a limited remedy for creators of pre-1972 recordings. Those who made recordings in 1972 and later are in a much better situation. Their recordings are covered by federal copyright law, and under the Digital Performance Right in Sound Recordings Act, they have a performance right covering the digital transmission of their sound recordings. If their recordings are streamed, they have a right to be paid a royalty for the musical performances embodied in the recordings. The CLASSICS Act would partially bridge the legal divide between pre- and post-1972 recordings. It would not grant full federal copyright protection to pre-1972 recordings. It would give these recordings digital performance rights under federal law, while explicitly maintaining the rest of their state copyright protections. Critics of the CLASSICS Act, however, make several arguments. First, a large percentage of the new royalty revenues would not go to the musicians who made the pre-1972 recordings. [clarified] Thanks to the contracts the musicians made with their record labels, the “record labels would get most of the revenue,” said Stoltz. Moreover, much of the money not gobbled up by recording companies will never reach the musicians who made the old records. “For recordings from the 1940s and earlier, those getting the revenue would be the artists’ grandchildren … and the record labels,” said Stoltz. This one-sided bargain could become a blueprint for future legislation, critics fear. “This creates a bad precedent. If Congress rewards people who made music 45 to 95 years ago by giving them this, then other rights owners will go to Congress cap in hand and ask for more money for works already created,” said Stoltz. Critics’ final argument is that the CLASSICS Act expands copyright-type protections for pre-1972 recordings without providing copyright’s corresponding limitations. The bill would not, for instance, create any fair use rights in pre-1972 recordings, which would allow libraries and archives to stream classic recordings. Nor would the bill shorten the term of protection for pre-1972 recordings, so as to give them the same duration of protection as that given to other sound recordings. Federal copyright law typically protects post-1972 sound recordings for 95 years after publication. Pre-1972 recordings are protected by state law copyright, which usually have no time limits on protection. Congress, however, mandated that state copyrights in sound recordings will end in 2067, at which time the recordings will fall into the public domain. This 2067 limit allows many older recordings to receive protection for far longer than 95 years. For instance, Thomas Edison’s original sound recordings, made in 1877, will receive 190 years of protection. To prevent such extremely long protection – and to ensure pre-1972 recordings receive appropriate legal protection in the modern world – many legal experts are urging Congress to simply extend full federal copyright protection to pre-1972 recordings. The US Copyright Office made this recommendation in 2011. That policy, however, is getting little traction in Congress. Instead, the MMA was introduced into the Senate on 10 May, and the bill’s prospects look good. Steven Seidenberg may be reached at info@ip-watch.ch. "Controversy Hides Within US Copyright Bill" by Intellectual Property Watch is licensed under a Creative Commons Attribution-NonCommercial-ShareAlike 4.0 International License.